Sarah Woods is a native of Southwest Oklahoma and a graduate of Altus High School. After high school, she attended the University of Oklahoma as an OU Scholar and was active in Alpha Chi Omega. She graduated with a Bachelors in Business Administration in May, 2004. She earned a Master of Business Administration from Cameron University in December,2008. She continued her education and professional development to achieve the Certified Public Accountant licensing in August, 2012. 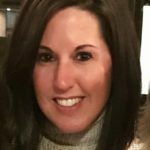 After graduating from OU, Sarah moved to Oklahoma City where she worked for SMG at the Bricktown Ballpark as an Auditor, she avidly enjoyed working in the Baseball Park. She then moved to Lawton to pursue a career in Accounting on Fort Sill. She left Fort Sill for two years to expand her accounting capabilities at Comanche County Memorial Hospital. Then she returned to Fort Sill as the Accounting Manager for VT Griffin. She left Industry Accounting in 2011 to pursue a career in Public Accounting and currently is the president of her accounting firm, Woods Accounting Services, PC. 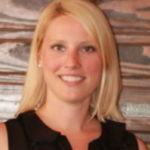 As a resident of Sterling, Sarah is active in both the Lawton and Sterling communities. She is an active member of the Kiwanis Club of Lawton and volunteers with many different civic organizations. She is the Treasurer of the Sterling Girls Summer Softball League, and active in church, Sterling First Baptist. Sarah is married to Brian Woods and has four beautiful children: Kiersten, Hannah, Grant. and Jase. Tiffany Davis is a native to Lawton, Oklahoma. Growing up, she prioritized volunteer work with her local Key Club and her church’s statewide Youth Force program. After high school, she attended Oklahoma State University and earned two bachelors degrees by 2012. While there, Tiffany volunteered much time toward academic club board memberships and toward United Way’s Day of Caring. She then moved much in her young adulthood before settling back to Lawton. Now, Tiffany works at FSNB, N.A., a family-owned bank. 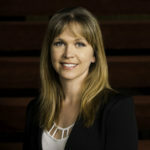 She heads the Delaware and Texas regions and manages multiple companywide projects, focusing on products and services. Additionally, Tiffany is a member of the Lawton Chamber of Commerce, the FIRES Patriots, and the Young Professionals of Lawton. Tiffany joined the Junior League of Lawton in 2017. She’s enjoyed meeting other like-minded women who prioritize light-hearted fun and a focus on development, both in themselves and their communities. 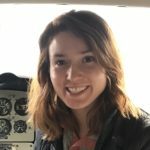 In her free time, Tiffany likes traveling with friends and family, practicing yoga at Native Yoga, flying with her boyfriend, and hiking in the Wichita Mountains. She’s also a big fan of Bloody Marys and a good pair of heels. Caroline Fox was raised in Missouri, educated in Texas, and is now calling Oklahoma home. She received both her bachelors and masters in Special Education at Texas Christian University. Caroline is currently a special education teacher in Lawton Public Schools. 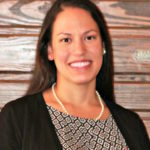 She joined the Junior League of Fort Worth, Texas in 2013 where she worked with Fort Worth Independent School District and the local Woman and Children’s shelter. She transferred to the Junior League of Lawton in 2015. Being a Junior League member has not only afforded her the opportunity to cultivate genuine friendships but also to get hands on with the needs of her local community. She has previously served as President. In her free time, Caroline enjoys traveling with her husband, playing golf, tennis, and playing with her two dogs. She especially loves spending time with the girls at Parker Pointe and getting to know members in the community with a heart for service. Elizabeth Fabrega was born and raised in Thibodaux, Louisiana, a small town about 60 miles southwest of New Orleans. She attended Loyola University New Orleans and graduated with a BA in English Literature and a minor in communications in 2003. After working as a college admissions counselor at Loyola, she married Gus Fabrega and moved to Little Rock, Arkansas so he could attend a residency program at the University of Arkansas for Medical Sciences Medical Center (UAMS). While in Little Rock, Elizabeth worked as the Volunteer Coordinator at UAMS. She coordinated over 100 volunteers in addition to working closely with the Hospital Auxiliary. Elizabeth joined the Junior League of Little Rock in August 2009 and completed a provisional year and one active before she and Gus moved to Lawton in August 2011. After having such a positive Junior League experience in Little Rock, Elizabeth was excited to find out Lawton had an active chapter. Elizabeth still has deep roots in Louisiana, and she and Gus make annual trips home for Mardi Gras and New Orleans Saints games in addition to visiting family. Although her hobbies include catching up on her reading and traveling, most of her days now are spent chasing after her two active children, Benjamin and Caroline. She enjoys her time with the Junior League because it allows her to get involved and make an impact in the Lawton community. It has also been a great way to meet new people. Ashley Taylor was born in Duncan, Oklahoma and graduated Oklahoma State University with a degree in Elementary Education. She moved to Lawton and now works at the Comanche County Commissioners office. She loves spending time with her husband Rusty, playing with her pup Whiskey, and volunteering her time with the Junior League. Taryn Johnson was born and raised in Texas. She graduated from Texas A&M University with a Bachelor’s of Management Information Systems. While there Taryn was involved in volunteering to help read to elementary students. After living in a few cities in Texas, she moved to Lawton in 2005 help her family when they opened the local Popeyes franchise. She then graduated from Cameron University with a Bachelor’s of Accounting degree. She now works in the information security field. She joined the Junior League of Lawton in 2015 and completed her provisional project in the pharmacy at the Hearts that Care Volunteer Health Clinic. She has previously served as President. She is married to Nick and they have 2 young children and a very playful boxer. When she has free time, she spends it in the kitchen baking and catching up on tv shows when she isn’t spending time with her family.